Custom chooser, which is an event based control which can be used to implement arbitrary any type of custom chooser; Use OnChooserShow chooser’s event to show and handle your own custom dropdown control. 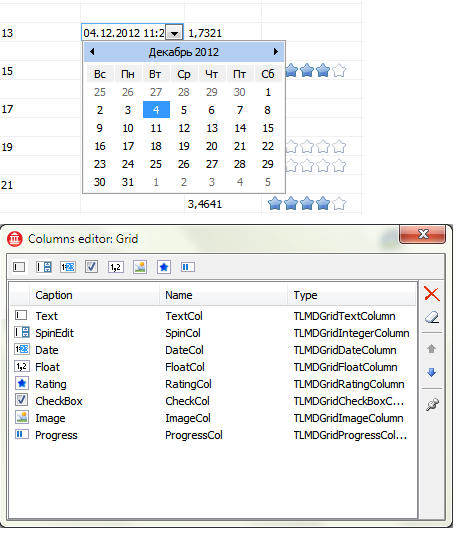 LMD GridPack supports various column types with attractive visuals like rating or progress columns. 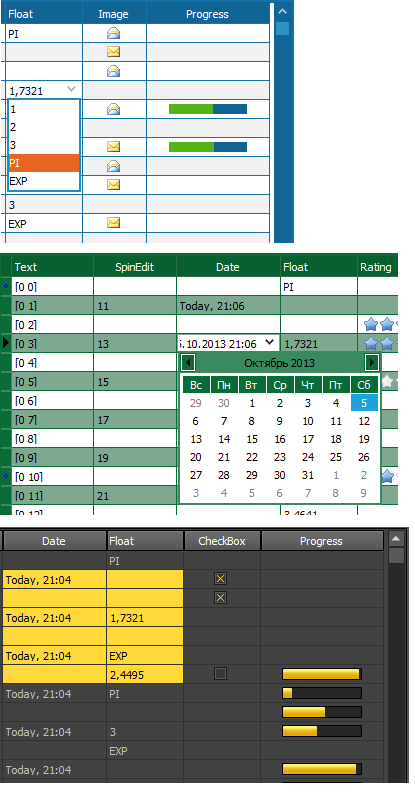 End user can select and edit data using advanced editors. 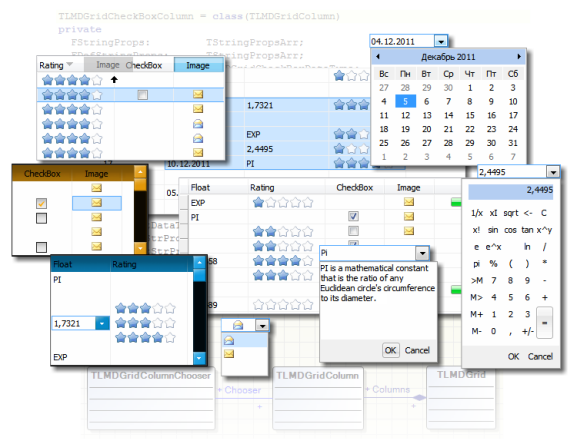 The programmer can specify type and used editors in an efficient and simple designtime editor. Standalone version. Demo projects included. 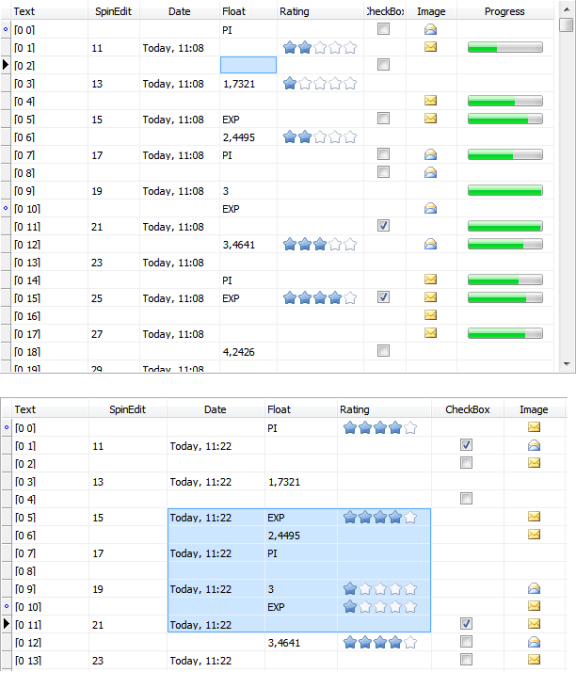 Exe-Demos provide compiled version of example projects. Please find documentation package at the end of this section. Helpfiles for BarPack, ChartPack, FxPack etc.